Market participants are optimistic and for good reasons. Candlestick arrangement points at bulls, and as prices swing between Jan 14 high low, our immediate triggers will be at $3,800. All the same ideal targets are at $4,500 and $6,000 on the upside. Aside from supervising and regulating financial institutions in the US, the Fed’s core responsibility is to bring about stability in the financial sector. It is because of this stability that economies can flourish, and as they enforce the rule of law, the Fed has their thoughts on cryptocurrencies and Bitcoin to be specific. While the most valuable coin is deemed completely decentralized by the SEC, Jerome Powell, the FED’s head maintain a hard stance on Bitcoin. During the House Financial Services Committee, Powell said cryptocurrencies are “great tools” for money laundering. Even though the Fed insists that the rapid rise of crypto assets was a bubble (that has since popped), the Federal Reserve Bank of St Louis long term view of Bitcoin prices is neutral. According to a report, the value of BTC will never drop to zero because there is demand for what the network stands for—ownership and decentralization. 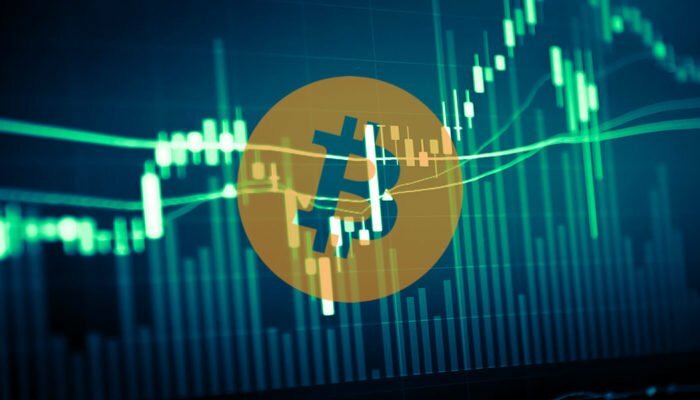 Bitcoin prices are steady and ranging in lower time frames. Prices are down one percent in the last day and 10 percent week to date but everything else constant, price action is pretty much unchanged in the previous 24 hours. From the chart, it is evident that prices are ranging and confined within Jan 14 high low. 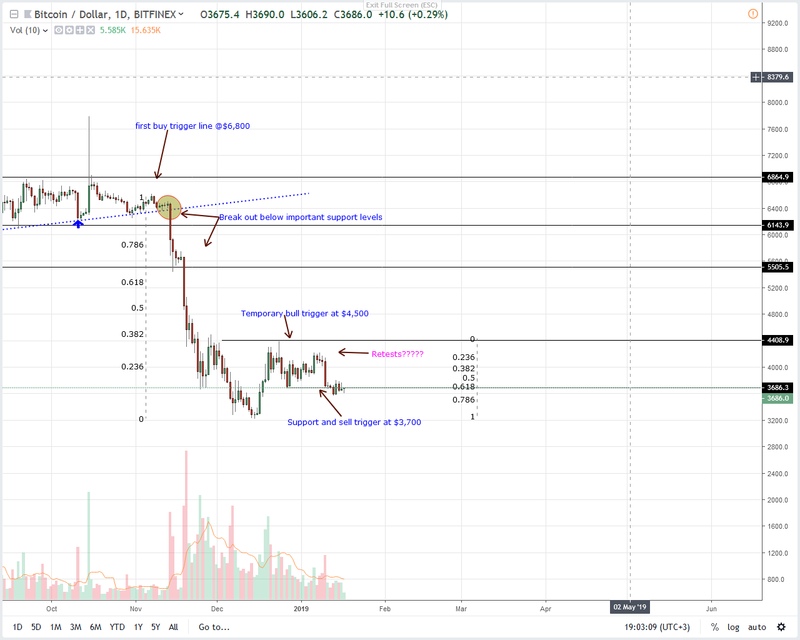 Nevertheless, their failure to break and conclusively close below $3,700 main support level is bullish in the short term. Besides, the past three candles are oscillating within a bullish bar meaning from an effort versus result perspective; buyers stand a chance. Anyhow, our last BTC/USD trade plan is valid, and as long as prices are trading within Dec 2018 high low, conservative traders are advised to stay on the sidelines. However, aggressive traders can wait for prices to edge above $3,800 or the 50 percent Fibonacci retracement level of Dec 2018 high low. Losses below $3,700 could see BTC prices drop to $3,200. Volumes are low and average dropping from 18k to 15k in the last three days. Gains above Jan 14 lows should be at the back of high trading volumes preferably above 35k. Only that will trigger aggressive traders into action, buying on breakouts at $3,800 with targets at $4,500.